Just what does luxury mean in 2019? Opinion: historically, luxury was about craftsmanship, skill and a high price point, but it now means many things to many people. Luxury is a fashionable word. "Similar to art, luxury can be approached from different angles, with highly subjective results", argue Jean-Noël Kapferer and Vincent Bastien in The Luxury Strategy: Break the Rules of Marketing to Build Luxury Brands. "Your luxury is not my luxury". When it comes to definitions of luxury, there are a glut of possibilities with no distinctive or definite abstract. Whilst this offers multiple possibilities, it is challenging for luxury brands to manage without a clear definition. If luxury is based on subjectivity and opinion, then what luxury goods and services offer the shopper is a number of tangible and intangible benefits. It could be argued that the most influential component of a luxury good or service is desirability. But as with the definition of luxury, desirability as a concept could also be perceived as being largely subjective and elusive. The challenge continues and understanding consumers' opinions in the current retail landscape is as unstraightforward as defining luxury or indeed desirability. This notion of luxury meaning different things to different people - and that being acceptable - is a relatively new concept. Historically, there were rules and there were limited numbers of consumers who could match desire with demand. Kapferer and Bastie's academic paper advises that "luxury is no longer a small sector, aimed only at the happy few". In 2019, we all want in on the luxury game and we can all avail of a luxury offering at some market level, as the tagline saturates the retail landscape. From coffee to toilet paper, "luxury" is a fashionable and fruitful commodity. Whilst there is talk of the death of the class system, this new inclusive luxury concept is largely due to the growth of the middle classes in emerging markets and class in reality is still very much a key indication of society and its changing consumer. In September 2018, the Financial Times noted that "more than half the world’s population is now middle class" and that this population was "for the first time living in households earning enough to be considered middle or upper class, with five people joining their ranks every second". Undeniably, there is a link between luxury, desirability and fashion. Whilst luxury and fashion are linked, they are historically different concepts, but these differences are becoming difficult to unpack in the current mainstream luxury fashion offering. In Why Fashion Matters, Frances Corner says that "fashion matters. To the economy, to society and to each of us personally. Faster than anything else, what we wear tells the story of who we are — or who we want to be. Fashion is the most immediate and intimate form of self-expression". The growth of the middle class structure has been fuelled on a want and desire to join the exclusive party. As frivolous and trivial as it may seem consciously or indeed subconsciously, we adorn ourselves based on how we want to be attended to. If we want to be taken seriously at the party, we need to dress the part. Desirability in fashion is as much about fitting in, as standing out. The luxury fashion sector is managing the demands of both new and traditional consumers through offering accessible, intermediate and inaccessible luxury goods and services. In ways, luxury fashion brands may feel the need to be all things to all consumers to stay relevant, which may well prove to be a survival tactic and beneficial - or short-sighted, brand damaging and detrimental in the long run. The subjective nature of luxury now means that a vast array of brands have associated themselves to the luxury tagline. They have become a definition of someone’s "luxury" and, in today’s retail landscape, one could argue that that is the same as actually being luxury. The millennial cohort are also members of this new middle class and are as influenced by social status as their predecessors. However, the feeling is that they are making luxury fashion brands work for their money and social status today means more than an It bag or accessory. Trend forecasting company WGSN predicted that shoppers would "thrive on exclusive, limited-edition drops, enjoy feeling part of a community". 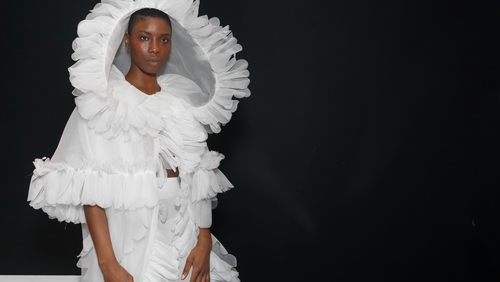 The State of Fashion report predicts that "2019 will be a year of awakening". What this means is that "younger generations’ passion for social and environmental causes has reached critical mass" and that "fashion companies must come to terms with the fact that a more distrusting consumer expects full transparency across the value chain". Historically, luxury was about doing one thing well. It was craftsmanship and skill and the high price point was a justification for a quality product or service. Luxury now is about a subjectivity and moral consciousness justifies the value of the luxury asset. While luxury will continue to be a fashionable word, there are mixed indications on the security and challenges to be faced by the luxury fashion sector with Brexit looming. The success of luxury will only be guaranteed for brands that are reactive to their consumers' desires. Moral consciousness is potentially a new desirability and therefore a new luxury concept.